Offering you a complete choice of products which include auger powder filling machine, dual head powder filler machine, pulses filling machine and paste filling machine. 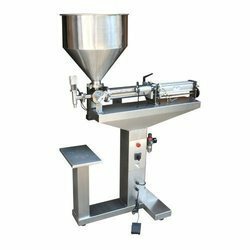 Auger Powder Filling Machine finds its utility for packaging spices and pastes in pouches and containers. 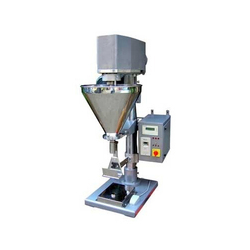 These auger filler machines are available in variable according to the required quantity. One major component of Auger filler machines is the microprocessor which gives flawless results. 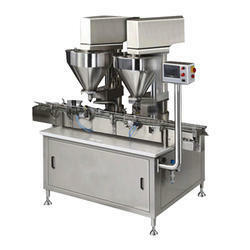 We offer Dual Head Powder Filler Machine which is reliable and gives consistent output. They perform volumetric weighing and dozing of the powder and granules in containers and pouches. Ours is a noted firm engaged in offering Pulses Filling Machine to the customers. All these machines are manufactured with graded raw material sourced from trusted merchants of the market.